Meet a Chirp Magazine Illustrator! Today we caught up with the talented Geraldo Valério. 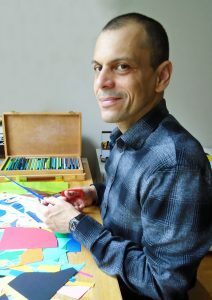 He is an author, illustrator and the creator of “Art on the Fly,” a colourful story that appeared in the March issue of Chirp! We asked Geraldo to finish some fun sentences for us. Here are his answers. 1. When I was a kid, my favorite thing to draw was locomotives. My father worked for the railroad company. I was always amazed by those huge and noisy machines. I used to make simple drawings of locomotives with rectangles, triangles, squares and circles. That’s how I learned about shapes. 2. My hidden talent is baking. I love making all kinds of cakes—chocolate, lemon and coconut. Baking any kind of cake brings me great joy. 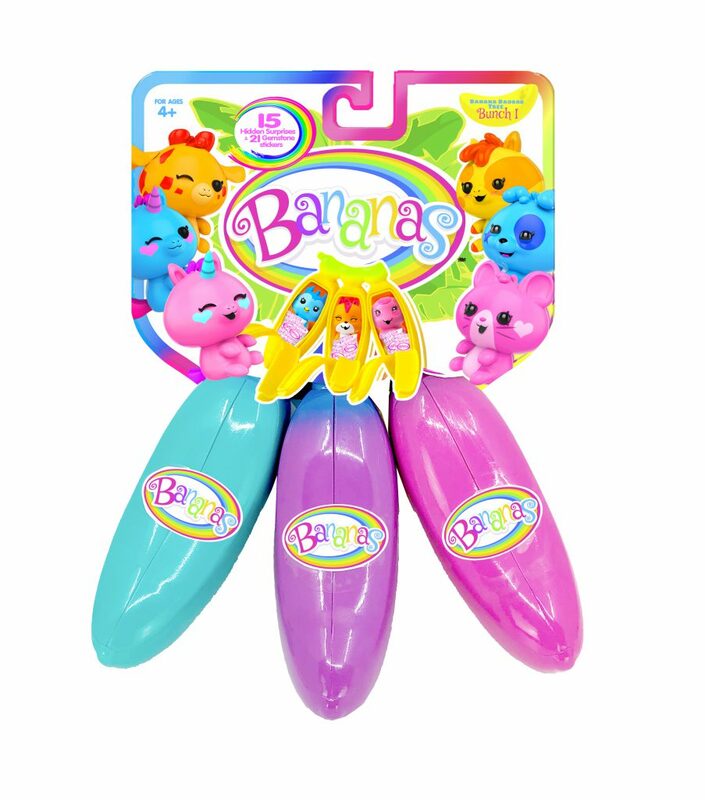 The best part is eating them. I could eat cake for breakfast, lunch and dinner. 3. My favorite way to eat eggs is scrambled with peppers and herbs from my garden. Sprinkling some cheese on top doesn’t hurt. 4. A perfect day is spent in my studio creating my books. I really enjoy every part of making a book—from the first drafts and sketches to the final art. Best of all, I like sitting at my desk cutting paper, arranging coloured shapes and making collages. 5. The best way to end my day is going to a yoga class to move and stretch my body and calm my mind. After I have my dinner, I relax on the sofa reading a book or magazine until sleep comes. 6. My favorite books are all kinds of art books, history and nature books and novels and memoirs. I am very passionate about picture books. 7. My heroes are my friends. We have been together for so long through many moments of happiness and sadness. I’m never alone because I have great friends. 8. What I love most about being an artist is telling stories with beautiful and engaging images. 9. My advice for young artists is to get to know what really excites and motivates you to be creative. Find time in your day to work on your ideas and work every day of the week. Soon, you will realize this is the best time of your day. I love working! Readers, if this interview has you feeling inspired, send us photos of your artwork for a chance to be featured on the Chirp blog! You can send the images to chirpblog@owlkids.com. 10 Things About Chris Jones! 2. If I were an animal, I would be some sort of bird (maybe an eagle), so I could soar high above, enjoy the views and have the freedom to fly wherever I want. 3. My favourite book character is Gandalf (the wizard) from J.R.R. Tolkien’s The Hobbit and Lord of The Rings. 4. If I could have any superpower, it would be the power of flight; the ability to avoid all traffic and explore lots of interesting and remote places would be wonderful. 5. When I was a kid, I loved drawing silly characters and monsters. 6. My favorite thing to draw now is silly characters and monsters. I guess I’m still a kid at heart! 7. If I could travel anywhere in the world, I would visit Galápagos Islands. I love exploring nature and wildlife, so I’d really like to travel there one day. 8. My hidden talent is my ability to make myself yawn simply by drawing a person yawning. 9. What I love most about illustrating stories is creating characters, planning which moments in the story to illustrate, and adding as much humour as I can. I guess you could say I love the whole process. 10. My advice for young artists is to draw a lot. The more you draw, the more you learn to see the world around you. Bad drawings are okay—you can learn from them and improve if you keep at it. Draw when you feel like it and also when you don’t feel like it. This will develop your discipline, which is a very important skill for an artist. Most importantly, draw what you love— draw things that excite or inspire you! If you’re feeling inspired, readers send us photos of your artwork for a chance to be featured on the Chickadee blog! You can send the images to chickadeeblog@owlkids.com. 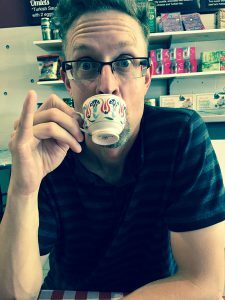 Meet a Children’s Book Illustrator! 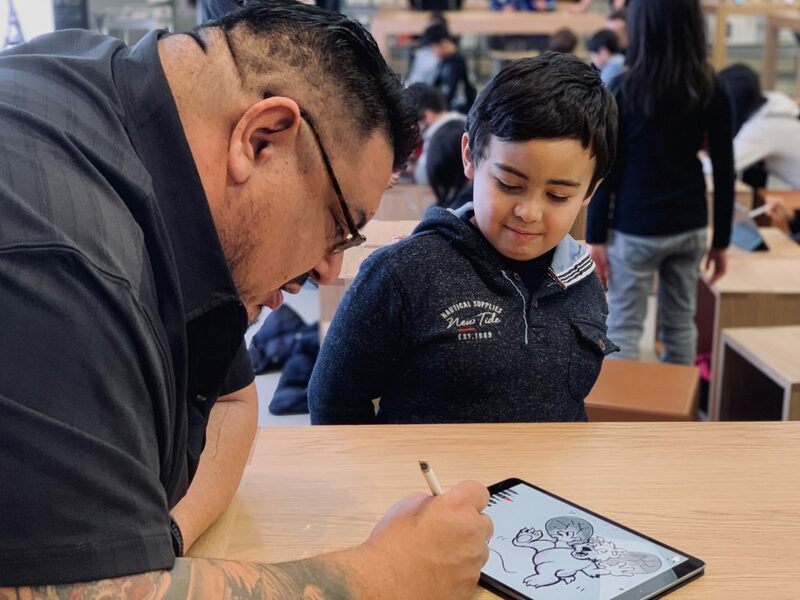 Chickadee caught up with Jay Odjick, a super talented illustrator, writer, television producer and comic creator. We asked him a few questions about illustrating Robert Munsch’s latest children’s book, Bear For Breakfast. Congrats on Bear for Breakfast! What does having this book published in both English and Algonquin mean to you? For me it is a dream come true. As a kid, I couldn’t have imagined seeing a book like that. 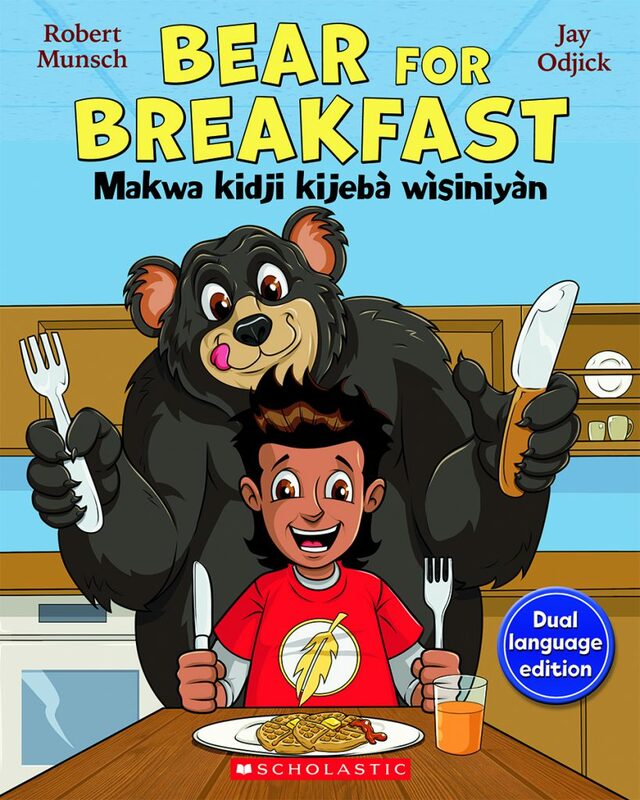 I’m proud that Bear for Breakfast is an entryway for people both on-and off-reserves to learn the language. At the end of the day, this book is about a kid having an adventure, and it doesn’t matter where you’re from or what race you are, you can read the book and have a good time. What is it like to collaborate with Robert Munsch? Why does your collaboration work so well? What I appreciated most is that Robert really trusted me to tell the visual part of the story. I think that comes from him being very comfortable and confident in his abilities as a storyteller. He understands that the best way is to be collaborative, and that to me is invaluable. What kind of technology do you use to draw? I did Bear for Breakfast 100 percent on the iPad Pro and did the colouring on an iMac computer. I also use an app called Tayasui Sketches School, an app called Procreate and one called Clip Studio Paint for Manga. 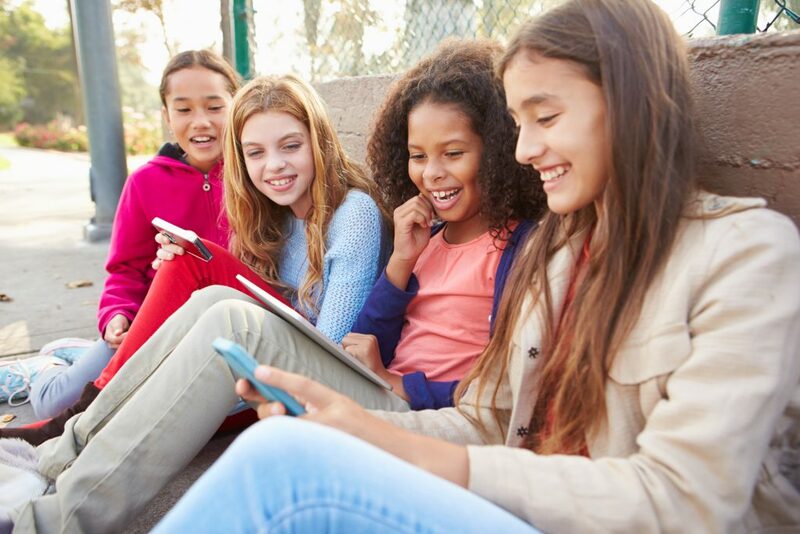 I think the coolest thing is to be able to show kids and say, “Look, you can draw on the exact programs that I do, use the exact same hardware, and use the same apps.” It’s really cool. What do you love about illustrating for kids? I think it’s getting back to the things I loved as a kid and trying to think in that mindset. It’s fun to think, “What can I do here that would really capture my imagination?” If I can say I spend half of my day trying to think like a kid—that’s a good job to have at the end of the day. What did you love to draw as a kid? Superheroes. When I was a little kid, I learned how to read through comic books. The over-the-top and in-your-face bright colours were comic book hallmarks I really dug as a kid, and I try and bring in that same level of dynamic action into my illustrations. Do you have any art advice for kids? Try to find balance between working on what you need to improve while still having fun. Be your toughest critic but also recognize and celebrate your improvements. There are many ways to do things and try to find what works for you—be bold and embrace technology. Try what I use, the iPad Pro and Apple Pencil, which is great gear and environmentally friendly! Practice, practice, practice, and remember, the only thing you can control is how hard you work! Have you ever eaten bear for breakfast? I’ve had bear, but not for breakfast. Growing up on the reserve, we ate a lot of wild game, but bear meat is a little less common. But at one point as a kid, I did have bear… but it was for lunch! Thanks, Jay. It was great chatting with you! Readers, what is your favourite breakfast food? Comment below! Disney’s The Nutrcracker and the Four Realms is now available on BLU-RAY™ and digital. It’s the classic tale about a young girl named Clara, who is transported to a magical and mysterious world full of dancing sweets and scurrying mice. The movie also includes breathtaking performances by ballet superstar Misty Copeland. Make that warm holiday feeling last all year round with your chance to WIN a copy right here! 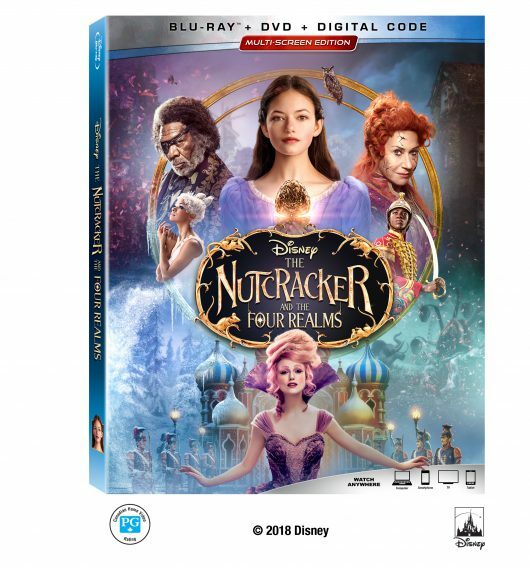 We’re giving away three (3) copies of Disney’s The Nutcracker and the Four Realms. All you have to do to enter is leave your name and age in the comments below. Contest Deadline: February 11, 2019 at 11:59PM. Meanwhile, check out the movie trailer here. Good luck! Winners will be chosen by random draw. Click here for full contest rules and regulations. Prizes courtesy of Walt Disney Studios Motion Pictures Canada. It’s chilly outside! Here are some fun cold-weather jokes to read and share with your friends and family. Q: What can you catch in winter, but not in your hands? Do you know any jokes you’d like to share? Leave them in the comments below! Owlkids intern, Taylor, has some fun winter tips for you! Winter is in full swing, and with the cold and snow of the season comes lots of fun activities you can do outside. Read on for some ideas! 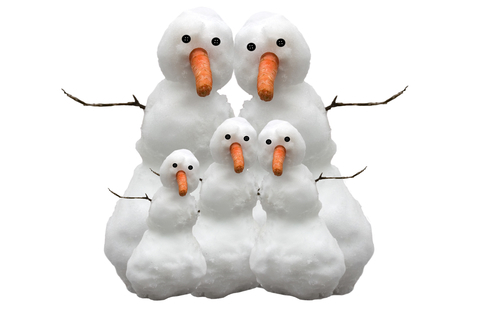 Build a snow family: take building a snowman a step further by building a whole family! You can build snow-children, snow-pets, and snow-parents. Look for animal tracks: look out for footprints in the snow and try to guess which animals they belong to. You can see tracks from dogs, squirrels, rabbits and more! Snow hopscotch: hopscotch isn’t just a summer activity! Instead of using chalk, you can trace lines in the snow. Or, to make it harder, you can try to jump into your friend’s footprints instead of boxes. Have a snowball-throwing contest: pick a target, like a tree trunk, and see who can hit it with a snowball. Make sure to be respectful and use trees in your own yard. What are your favourite winter outdoor activities? Let us know in the comments! 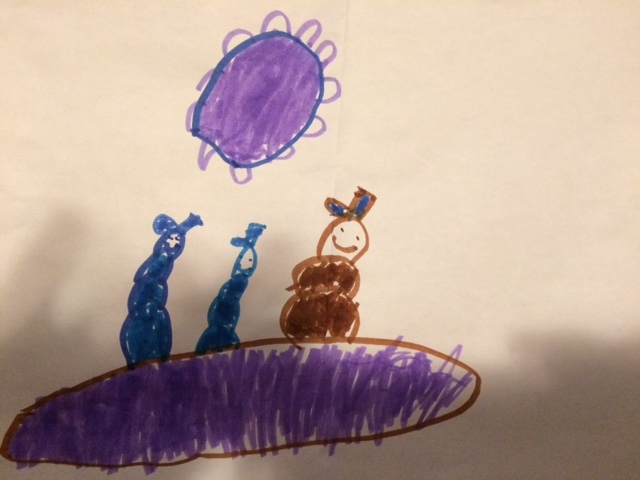 Today’s art of the week is from Nathan, 4. This is so adorable, Nathan! Thanks so much for sharing it with us! Do you have art to share? Send it to chirpblog@owlkids.com. Disney on Ice 100 Years of Magic in Toronto! Congratulations to the winners of the Disney on Ice Celebrates 100 Years of Magic Contest! Allison and Kaitlyn won from the Chirp blog and Esme won from the Chickadee blog. I also got a chance to see Disney on Ice in Toronto and it was incredible! All the star characters were there, including Mickey Mouse, Minnie Mouse, Donald Duck, Anna and Elsa, Belle and the Beast, Woody and Buzz Lightyear, and many more! My favourite part of the show was watching the skating version of Frozen. The costumes and set design were stunning — there were even special effects! And of course, the music was great to sing along to. 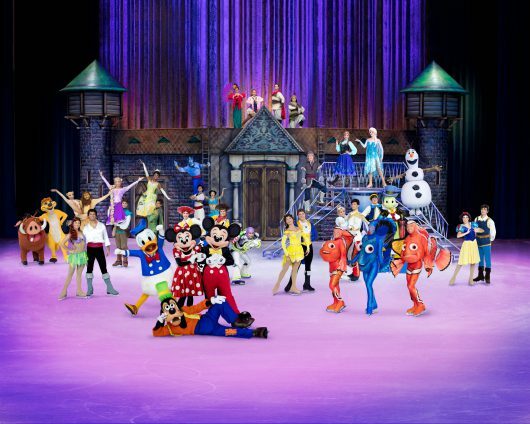 Disney On Ice celebrates 100 Years of Magic is in Toronto from January 25 to January 28, 2019. Click here to see if it is coming to a city near you! Here is Owlkids intern, Taylor, with fun book recommendations! This Sunday is Family Literacy Day. If you’re looking for books to read this weekend for Literacy Day (or just for fun), read on for some ideas! Reading a book is a great way to learn! Who Believes What is a book about families, people and their religions around the world. It explains five of the world’s major religions by population and shows what they have in common and their differences. These religions include Hinduism, Judaism, Buddhism, Christianity and Islam. You can learn about different kinds of religions, or learn about your own! Family Literacy Day is perfect time to pick up a classic book you haven’t had a chance to read yet, like Roald Dahl’s The BFG. The BFG, short for The Big Friendly Giant, is about a girl named Sophie who gets swept away by a giant one day. However, this giant doesn’t eat people: he is a friendly giant who catches dreams, giving the good dreams to children and destroying the bad dreams. 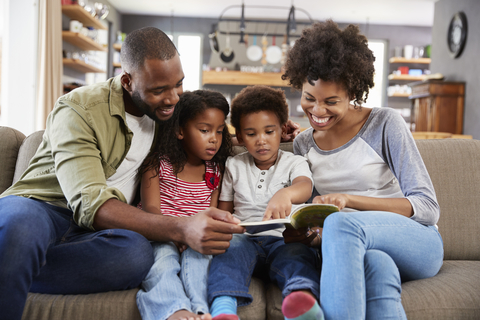 Are there any books you’re planning to read for Family Literacy Day? Leave a comment to let us know! Do you love to ski or snowboard? Hit the slopes with a SnowPass! 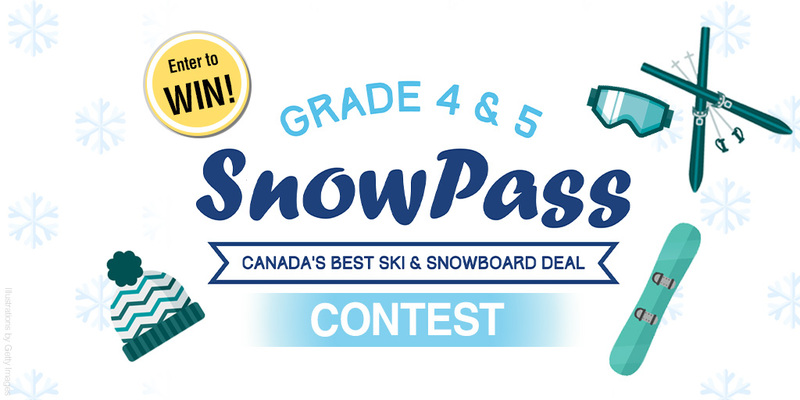 Parents of a grade 4 or 5 (or 9 to 10 year old) child can enter to WIN one of five SnowPasses plus a SnowPass Prize Pack. To enter, simply leave your name in the comments section below. Prizes courtesy of Ski Canada. Click here for full contest rules and regs. In honour of today’s International Day of Education, here are some fun facts about animals, science, history and more! You can share them with your family and friends, too. Crickets can “hear” sounds through their knees. Ketchup was originally sold as medicine, not as a sauce. Some snails can sleep for three years straight. Applesauce was the first food ever eaten in space by an astronaut. Blue whales are the largest animals in the world – they’re even bigger than dinosaurs were. 99% of people can’t lick their elbows. Butterflies taste their food with their feet. There are cars that can run on used french-fry oil instead of gas! Do YOU know any fun or weird facts you want to share? Leave them in the comments for us. As you know, Hockey season is upon us and Zamboni’s are a huge part that. Here’s a cute video of a Zamboni working to get a rink ready for skaters. You can check out the Jan/Feb 2019 issue of Chirp for Hockey facts, puzzles, comics and more. 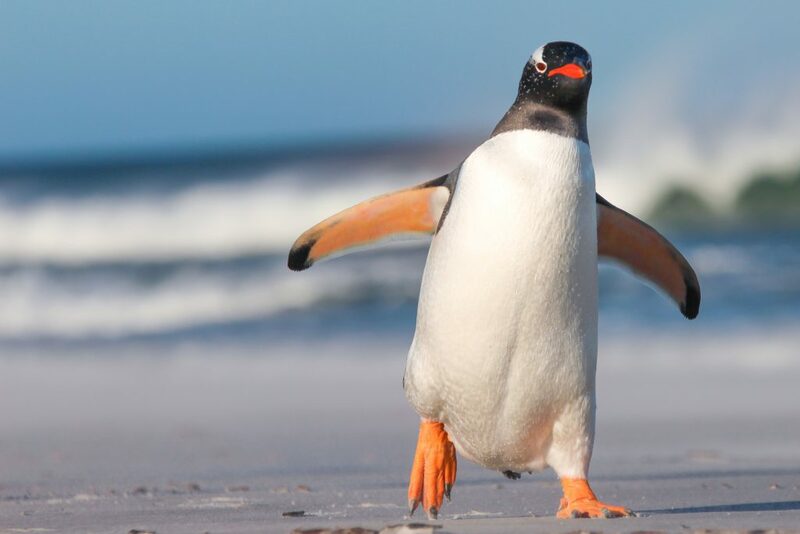 Today is Penguin Awareness Day! What’s that you ask? Well, it’s a day where we focus on penguins and how we can protect their homes and save them from going extinct. To celebrate, here’s a cute and funny video of penguins having fun. 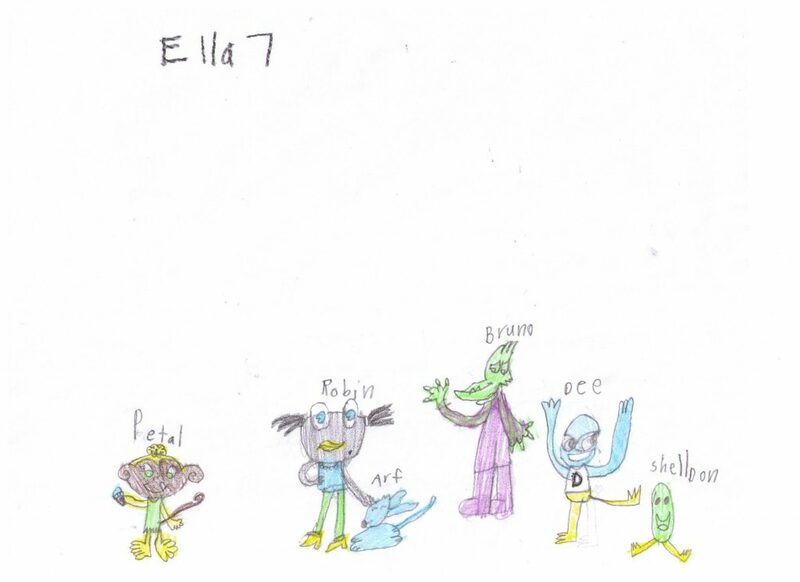 Check out this cool drawing Ella, 7, sent us. 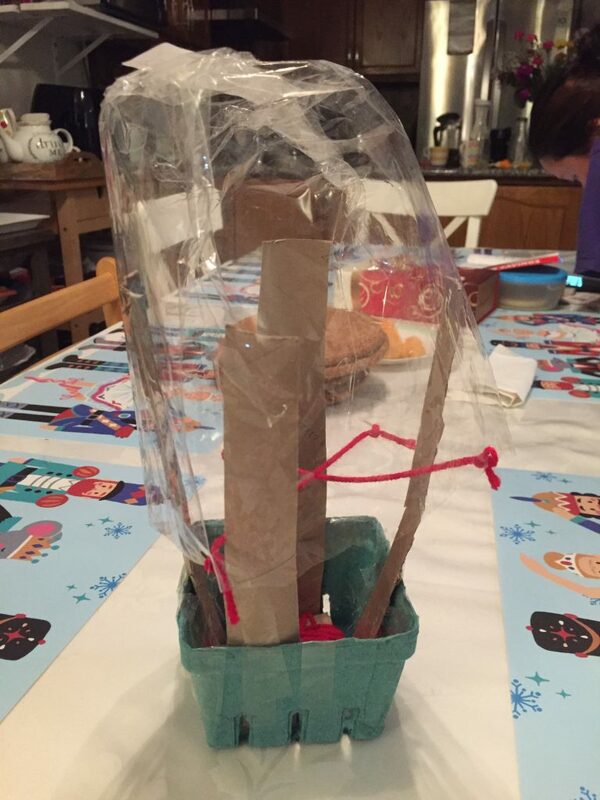 Thanks so much for sharing this with us Ella! Did you know that you can listen to Chickadee fiction stories online? The stories are also read by the author! Check it out by clicking HERE. 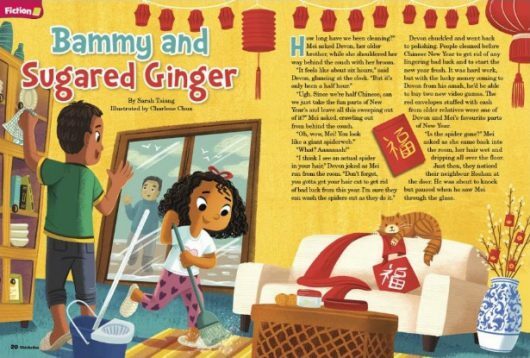 This month, author Sarah Tsiang reads “Bammy and Sugared Ginger”. Let us know what you think of the stories in the comments below!